EIBTM is hosting a dedicated networking session at the exhibition in Barcelona next week. Corporate and agency buyers from companies including Tui China Travel, Carlson Wagonlit Travel, Bank of America Merrill Lynch, Shanghai Secco Petrochemical and financial business Otkritie are among event organisers planning to attend. The drinks reception and networking on 28 November takes place from 6-7pm at the Business Travel Pavilion on the show floor. It will specifically target more than 100 corporate buyers attending the show as part of the hosted buyer programme. The aim is to allow exhibitors an additional opportunity to network and conduct business with an audience who have specifically expressed an interest in placing business within the sector. Neil Simpson, Reed Travel Exhibitions, Business Travel Market's sales manager said: "This networking event will provide a great opportunity for exhibitors and buyers to round off their day and network in a relaxed atmosphere. Our key objective is to ensure that all attendees of EIBTM get the greatest level of return on investment for their participation and this additional networking event provides a great avenue for more leads." 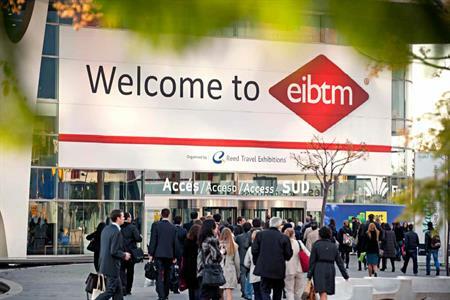 EIBTM 2012 takes place 27 - 29 November, Barcelona, with the EIBTM Forum on 26 November.